A young Italian lass today, while activating my new Italian SIM card, said that Umbria was the green heart of Italy. And today, driving through the magnificent countryside, I could see why. It was another glorious day – blue skies, sunshine all day, and the fields rich in colour. A perfect spring day in Italy – at stark variance to the savage storms which are currently lashing Sydney. 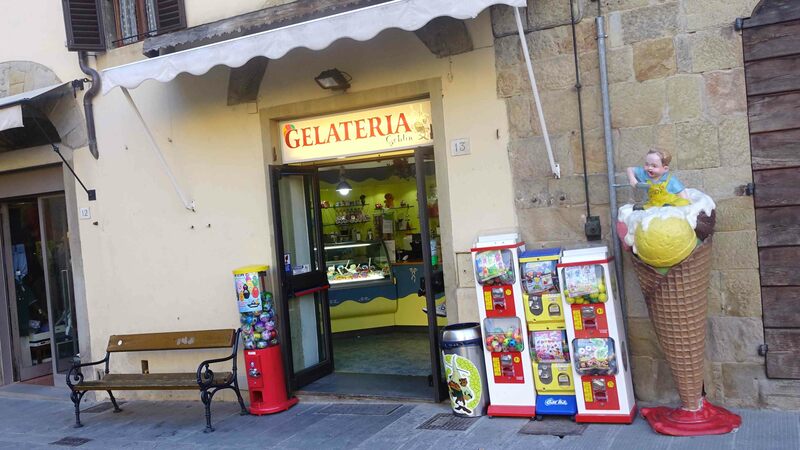 After getting SIM cards we drove to a hilltop town – Monterchi – to have lunch, but the restaurant was closed, Disappointing. I’d eaten there on the previous trip and it had been a lunch I will never forget. Undaunted, I set my Garmin to find the nearest restaurant, which was only 1.5kms away. 12 kms later, and the Garmin was still dicking around, so I shut it down and used my own PGS to find a place to eat. This involves “feeling” the right way to go. It’s a sense which I’ve developed, and it rarely lets me down. It doesn’t follow rational thinking. I see a lane and I ignore it and keep driving. I see another lane and I turn and drive down it, not knowing where it’s heading, but just trusting that the feeling I’m getting is leading me to the perfect lunch spot. Invariably it does, and today it didn’t let me down. 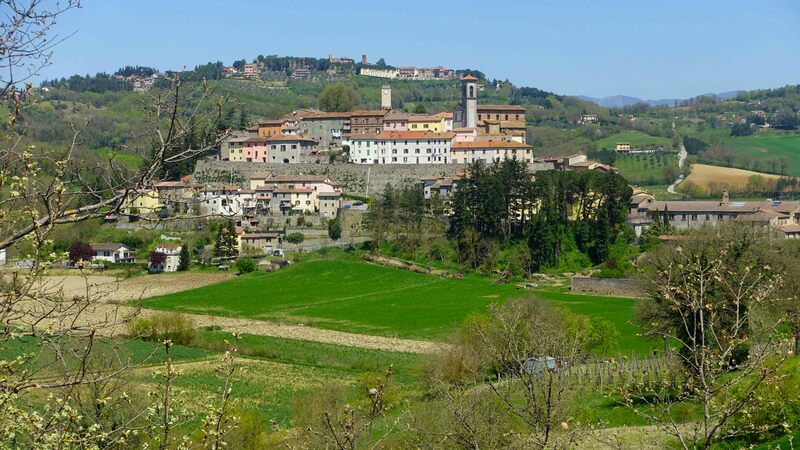 We ended up in what turned out to be one of the great historic towns of Umbria – Anghiari. This time of the year all these towns are virtually deserted. It’s wonderful. You wander through cobblestone alley ways and under medieval arches and you’re the only one there. I found us a restaurant that was sublime. Buffalo mozzarella that was so fresh – followed by grilled chicken with white truffles. The mozzarella was €5 and the chicken with truffles was €9. Plus a 750cl of a carafe wine – a Montepulciano – that was unbelievable, and cost €10, but would have cost $80 in Australia. After lunch we drove to Sansepulcro, which is a town on our tour. 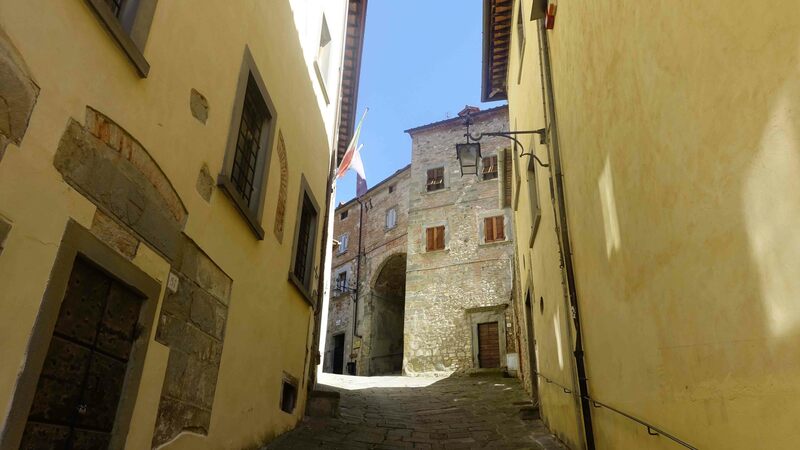 Another beautiful historic medieval Umbrian town. We checked out the hotel we’re staying in – and the restaurant – both of which are in the heart of the historic centre. 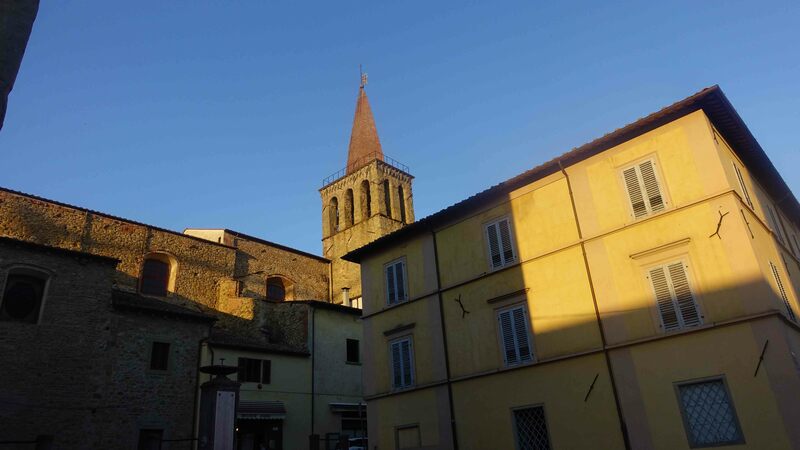 In the evening we went for a walk around the town, and later outside the old gates of the town we found a local bar where we sat and watched the sun go down and had a plate of hams, salamis and local cheeses, with a glass of red wine each. Tomorrow we go for a walk along our route – maybe 10kms or so. We want to test out our GPX coordinates on our iPhone maps, to make sure they all work ok. Thank you Susan. Sometimes my posts get a little heavy. It’s good to lighten them up every now and then! I’m glad you enjoyed it. Hi Jill – many thanks. I am a little daunted by the walk coming up.,I’m not as physically prepared as I was for the original Camino I walked. But it will be fun – and wonderful to share it with old friends and some new friends joining us too! Take care, and see you in India! It looks beautiful Bill. I’m so envious of you all. Enjoy your acclimatisation. Give Jen a hug for me. Fantastic post and beautiful photos Bill. Those gorgeous buildings with the backdrop of the blue skies – simply stunning. 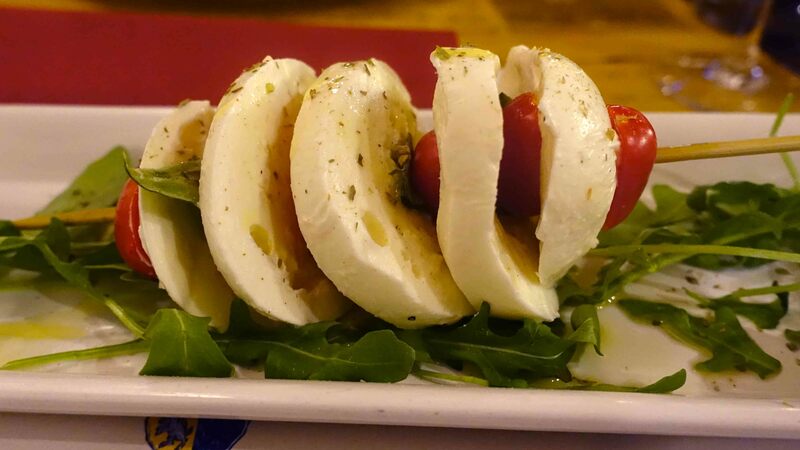 And the mozzarella salad … yum!!! Hey Jenny – yes the light here in the afternoons is very special. But you’re up late! You should be resting up and getting those injuries healed!! Thank goodness you changed the topic of today’s post. I thought you might lose a few folks from your tour after yesterday’s toilet talk. 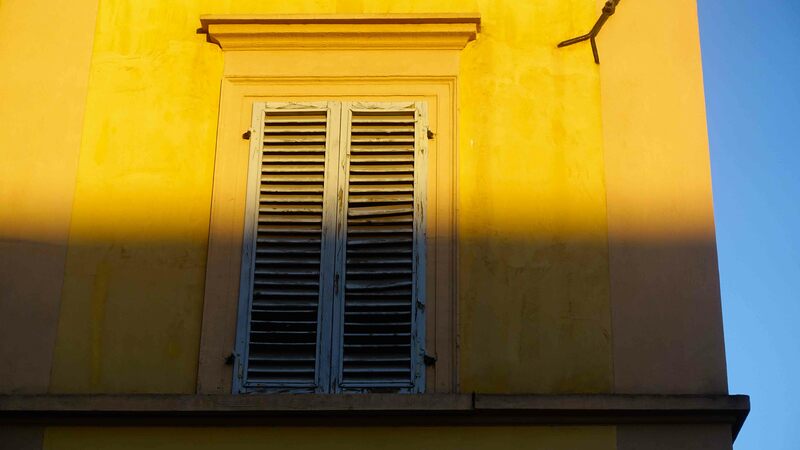 Also loved the pictures of Italy in springtime. It’s been 35 years since I’ve seen that. Hi Michael – yes the potty talk was a bit unattractive, wasn’t it. But in the interests of Truth in Journalism, and a deep ethical need I have to report it as I see it, I felt duty bound to inform my readership of this Umbrian toiletry custom. Hope the Wedge is pumping! Kenny would have loved to see the bijou Umbrian bathroom, Bill ! haha – yes indeed Jenny! He would have found it very funny! !